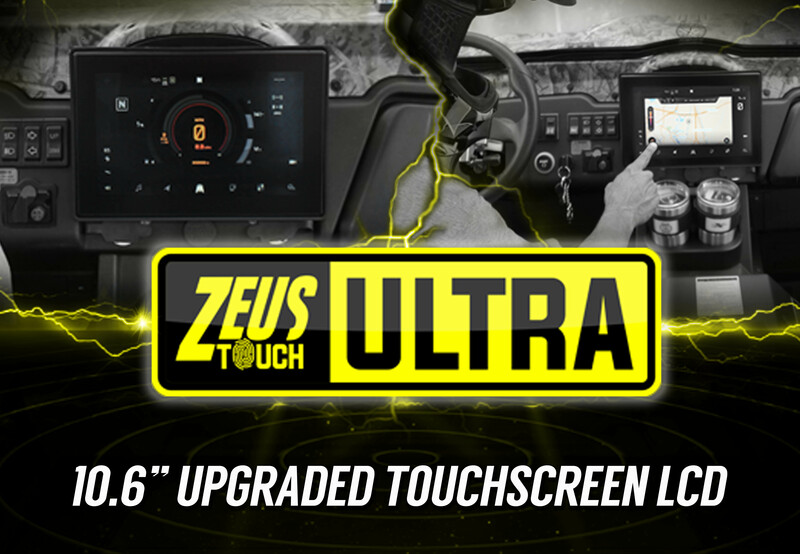 Our new technology starts with the new Zeus Touch Ultra. 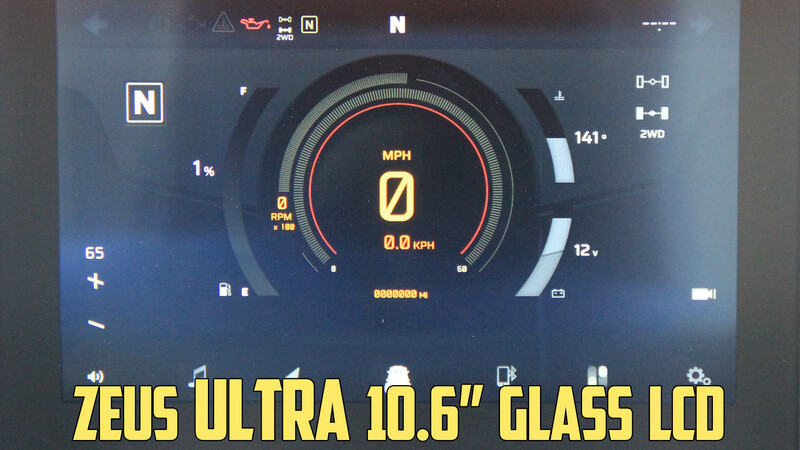 A whopping 10.6” LCD touch screen includes some incredible standard features such as new mapping, GoPro integration, front and rear camera options, temperature controls, digital displays, Bluetooth connection for phone and text display, and direct screen audio control. 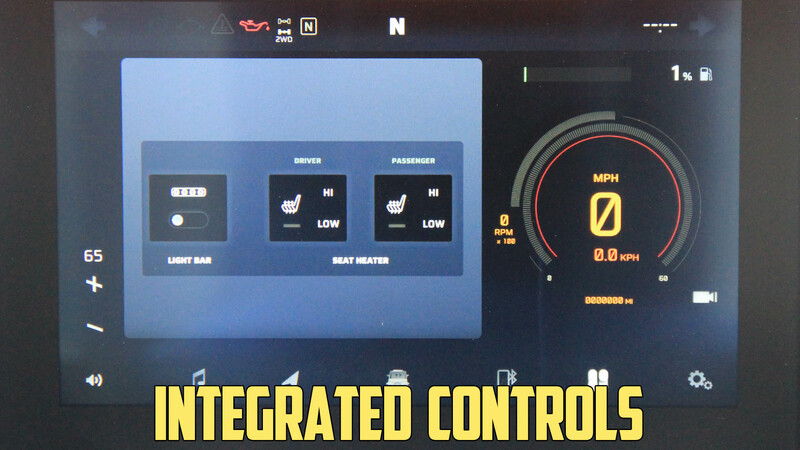 Created by Enovation Controls in Oklahoma, this technology is setting the new standard for UTVs. Keep your gloves on to use it and your phone stowed away, it’s time to start enjoying the ride again! 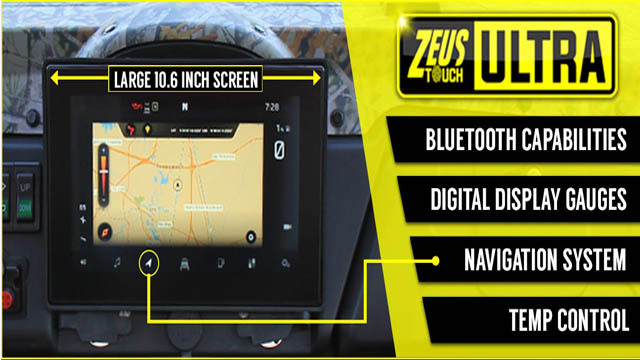 Full color LCD touch screen with no buttons. Can be used with our without gloves on. 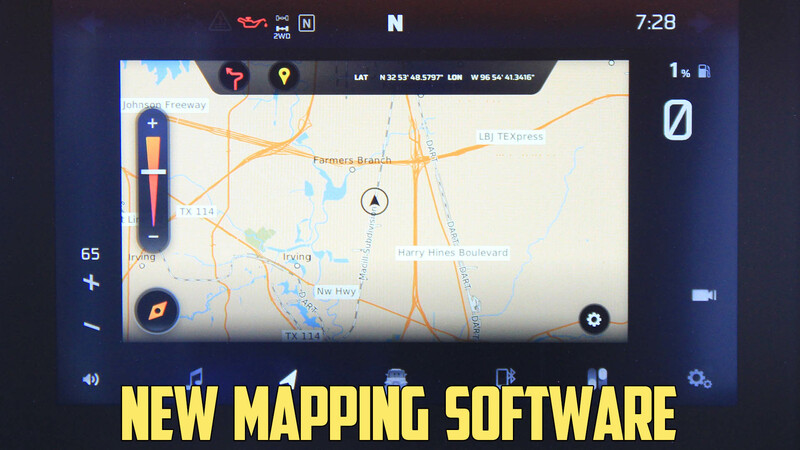 Full mapping with trail tracking and waypoints. 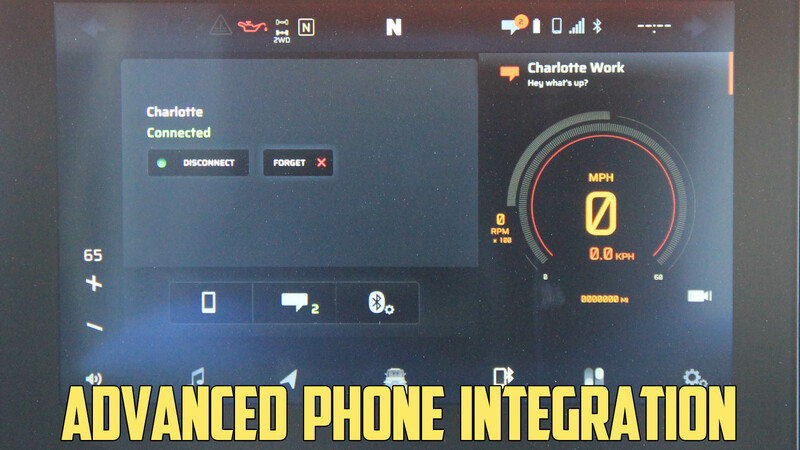 Uses satellites which can be found through the settings. Control your LED lightbar with the touch of the screen. Also, turn your heated seats on high or low. Grab and mount a camera to your unit and enjoy on screen visibility during your ride. Soundbar for audio output not included. Wetsounds Surge was made for Zeus models and is suggested. Can be purchased directly with ODES. GoPro device not included and not sold by ODES. Needs to be wifi capable. 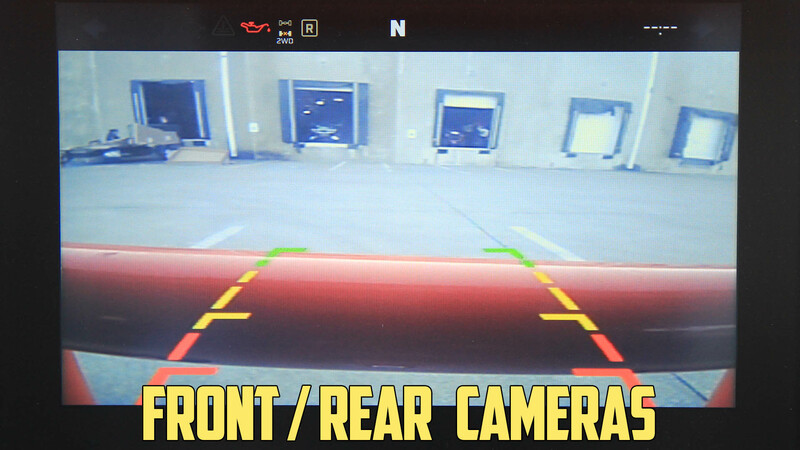 Front and Rear camera not included. Can be purchased directly with ODES. See standard warranty page for full warranty details on LCD 12 month coverage. The ZEUS Ultra comes standard on the 2019 X-Force 2 door and 4 door model. 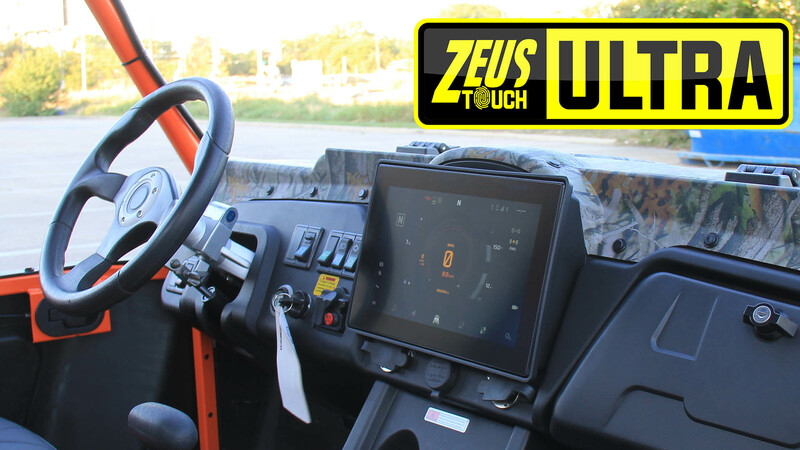 The ZEUS Ultra can be upgraded ($1195.00 Min charge) on the 2019 Dominator X2 Zeus, 2019 Dominator X4 Zeus, and 2019 Ravager Zeus models.